The Award began in Victoria in 1977 as a public speaking competition for senior school students from government and non-government schools and expanded to all states and territories in 1978. Today competitions are conducted in schools at regional and state levels. State winners represent their school and state at a national final which is hosted by each state or territory in rotation. 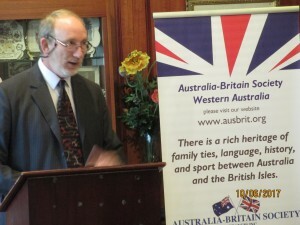 Each state winner and runner-up receives a cash prize provided by the Australia-Britain Society Foundation. The winner also receives travel and accommodation expenses to enable them to compete in the national final. The winner of the national final receives sponsorship from the Big Brother Movement to enable them to compete as the Australian representative in the international Plain English Speaking competition conducted in London UK organized by the English Speaking Union. The Plain English Speaking Award is a public speaking competition open to senior secondary school students. It was created to encourage the best use of the English language in Australian schools. Taking part has been recognized by thousands of young people as a valuable experience and for the participants and winners a worthy mention in their resume. The Plain English Speaking Award recognizes the key role of the spoken English Language as a link among Australians and as a medium for international communication and understanding. The primary aim of the Award is to encourage and maintain the best use of clear and effective English. Two students (one female and one male) from either year 11 or 12 may enter from each school. In the case of single gender schools, two students may enter. Students must be between 15 and 18 years at 1st September 2019. The students must be Australian citizens. Schools must organize an in-school competition to select the best student presentation. The selected students will represent their school in the state semi-final and if successful go on to the final conducted in Perth WA. The winner of the state final will represent Western Australia in the national final in Brisbane in 2019.
delivered at all stages of the competition. The impromptu talk cannot be read from notes. Adjudication will be based on a) the content of the talk; b) the structure and organization; c) the achievement of purpose; and d) the level of interest and student’s delivery, including clarity, fluency, tone, assurance, enthusiasm and the use of appropriate language. The 2018 WA Winner was declared to be Jemima Reid. Jemima went on to achieve Second Place in the National final held in Darwin on 12 August 2018 against six other State winners. The national winner was Justin Lai of Sydney Boys High School whose prize was a trip to UK to compete in the International final. The last event of PESA 2018 in WA was the occasion of the Presentation Morning Tea, held at Royal Perth Golf Club on Saturday 4th August. 50 people attended this event along with ABS members, PESA participants and their guests including teachers, friends and family members. At this event, MC Kevan Barrett read out a letter of goodwill from Sue Wittenoom who had been WA winner in 1979, then a student at John XX111 College. Guest speaker was The Very Reverend Dr John Shepherd, former Dean of Perth, who gave an inspiring speech on the values of public speaking. After Jemima gave her winning speech Dr Shepherd presented her with the WA perpetual shield which will be held at Jemima’s school, Santa Maria College, until the 2019 competition. 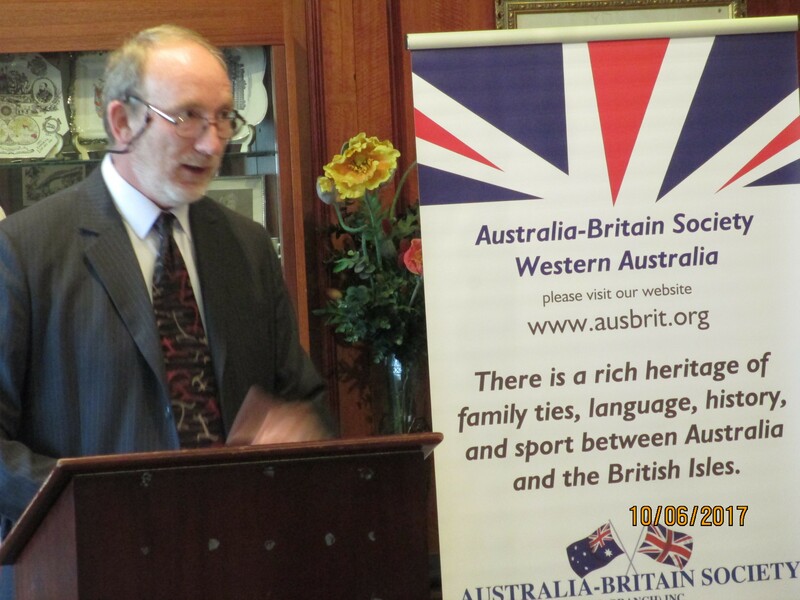 The Australia-Britain Society acknowledges the generosity of the Victoria League for their valued donation of hospitality for the semi-finals and final of this competition. Mr Leon Cohen, the first WA Plain English Speaking Award winner (in 1978) visited the 2017 WA competitors during their Semi-Finals. The WA State Winner was Esther Nixon of Ursula Frayne Catholic College.